You put a lot of time and effort into your curls. But the only curls you care about more than your own are your little one’s! 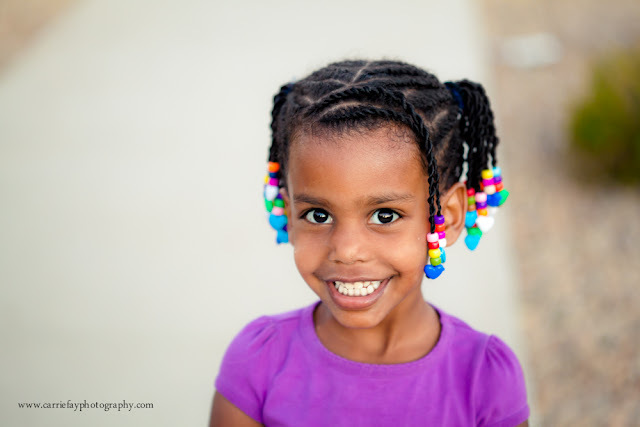 Caring for your children’s curls is essential to keeping their strands healthy and beautiful as they grow. Here are a few of my favorite tips for deep conditioning kid’s curls. You should begin deep conditioning young curls around the age of 1-2 years old, according to Kesha Chisholm Phillips of Kids With Curlz. While there is no set time frame in terms of age, this is around the time when you may start to notice hair needing more moisture. You can start younger if the curls are really dense or dry. The younger you start, the healthier their hair will be, but this doesn’t mean you should be deep conditioning the curls of a newborn! Young babies rarely need deep conditioning because their strands are not exposed to the things that are drying such as sun, heat, swimming, or other hair drying activities older children partake in. So don't start too early. Heat is a great way to deep condition young curls. Using a deep conditioner in the bath is fine, but heat should really be included in the routine. Heat opens up the cuticle to allow for better penetration into strands. According to naturalhairkids.com, a good idea is to warm up the conditioner to a safe level and then apply it to the hair for 30 minutes to an hour. This will allow it to soak in and penetrate strands. Heat caps are relatively inexpensive and can really offer deep conditioning benefits, even for young curlies. Remember that little ones have more sensitive scalps, so be sure to test the temperature of the heat cap before you put it on your child's head. Knowing when to condition can either be based on a timed routine or can be evaluated based on the hair. If you over condition hair, you can actually do more harm than good for your child’s curls. It is best to pay attention to your child’s hair and figure out the best routine for conditioning. You also want to keep in mind that hair care needs will change from week to week. For example, if your child went swimming at a friend’s house over the weekend, it might be time for a deep conditioner, whereas if they weren’t exposed to chlorine or other drying elements that week, it may be fine to skip a week of deep conditioning. There are a ton of products that are touted as safe for little ones, but that doesn’t mean they are the right ones for your child. Curly hair is different from other hair types and requires richer moisturizers to stay healthy. Your best bet is to choose products created specifically for curly hair, and gentle enough for children to use. A few of my favorites are Cantu Kids Leave in Conditioner and Shea Moisture Kids Nourish & Hydrating Hair Smoothie. They are rich in natural moisturizers that are perfect for curly hair. If you get your little ones in the habit of caring for their curls the right way, that is a habit that will stay with them for life. The better they know how to care for their natural hair, the more likely they are to embrace it as they grow up. Stay consistent on deep conditioning, along with the other elements of proper hair care, and they will love their curls as much as you do! Check out more information here and here.